After arriving at the hotel, head over to the Art Triangle, the name of the area which comprises the three main art museums in the city. 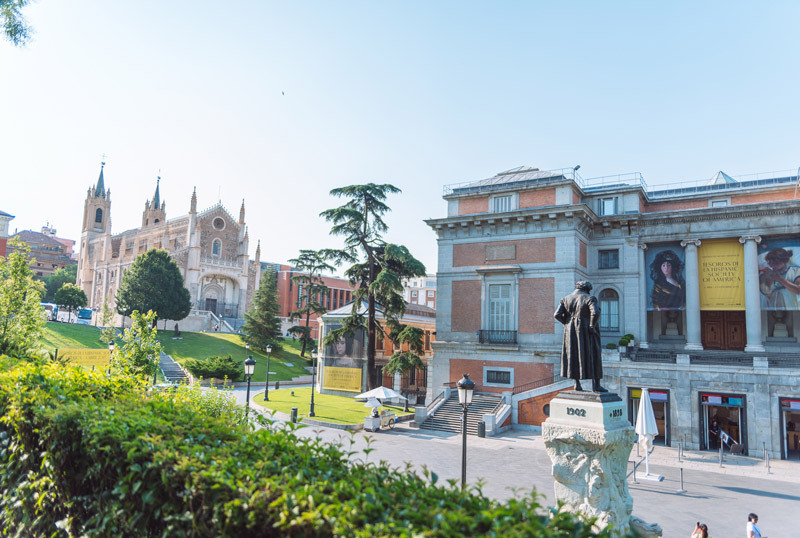 Remember that on the public holiday, the Prado and the Reina Sofía museums offer free entrance, two museums where you can enjoy the best classical and contemporary art collections respectively and spend all morning admiring them. For something to eat and to sample local cuisine, head over to the Cava Baja area to find a traditional restaurant or tapas bars. While you are looking for your favourite choice, walk around Plaza Mayor and admire its stunning beauty. Start the day by walking around the Habsburg District (Madrid de los Austrias) and head towards the Royal Palace and Plaza de España. Later, enjoy a pleasant stroll around the Malasaña district and eat in any of its eclectic restaurants on your way down to Gran Vía and Paseo de Recoletos. Wave at the statue of Cibeles and admire the City Hall and the National Library. You will then find yourself in Plaza Colón, from where you can get to the adjoined Salamanca district and browse in the city’s most exclusive boutiques. After breakfast, walk around Plaza de Callao and Calle Preciados until you reach Puerta del Sol. Take the metro to El Retiro and walk around this beautiful natural park. Find the gate which leads to Puerta de Alcalá and walk back to the city centre. Don’t miss out on the Fountain of Neptune, the Spanish Parliament and other famous buildings in the city which you can find in the area. Do your last bit of shopping and get ready to decide when you will be coming back to Madrid. We are sure it won’t be long until you make this wise decision!